Implant supported dentures, or “anchored dentures,” are an innovative dental system that can offer a much more comfortable and stable alternative to traditional dentures. Using a series of carefully positioned dental implants, these dental restorations can lock into place for a secure fit that virtually erases the chance of slippage along the gums. Many of our patients choose implant supported dentures as an “upgrade” after living with the inconveniences commonly associated with traditional dentures. With implant supported dentures, patients have been able to eat and speak with greater ease than before, ultimately improving their overall quality of life. In addition, implant supported dentures can be brushed just like normal teeth, greatly simplifying oral health care. Candidates for implant supported dentures are typically missing all, or nearly all, of the teeth on at least one arch of the mouth. The implant supported denture procedure can be used to replace the teeth of the upper arch, the lower arch, or both arches simultaneously for a full mouth restoration. Ideal candidates for implant supported dentures will have good jawbone density to support the titanium implants. The best way to determine your candidacy for implant supported dentures is to schedule a consultation with our experienced dentist, who will perform an oral exam, discuss your goals and expectations, and determine if implant supported dentures are suited for your unique needs. Once you are considered a good candidate for implant supported dentures, a customized treatment plan will be developed. Although the outcome and advantages of these customized treatments are similar, there are a number of different techniques that can be employed in order to achieve these results. In cases where individuals are missing all of their upper and/or lower teeth, All-on-4® may be the best option. The All-on-4® technique is a method of anchoring the dentures to the gums using just four implants for each arch of missing teeth. Using two implants on either side of the mouth and two additional implants that are angled toward the back of the mouth, the restoration can be securely held in place. These unique, angled posterior implants often allow patients to receive implant supported dentures who might otherwise require bone grafting prior to their procedure. In some cases, six implant posts may be used instead of the typical four. This method is often referred to as All-on-6. If you have specific areas in the mouth that are missing multiple teeth but not all teeth, All-on-4® may not be necessary. In these instances, an implant denture can be created to serve the affected region. Our dentist will talk with you about your options during your initial consultation. What is Treatment with Implant Dentures Like? Implant supported dentures generally involve a multi-stage process designed to fully restore your smile. During your consultation, your dentist will assess your unique needs and evaluate the state of your jawbone to determine the most ideal implant placement technique to secure your dentures. Once your treatment plan is created, between two and six small titanium posts will be inserted into your upper and/or lower dental arches in a procedure utilizing local anesthesia. Patients usually do not feel discomfort during implant surgery, but our practice provides customized sedation dentistry options for individuals who are anxious about treatment. Over the next few months, the implants will slowly fuse with your jawbone, providing the point of attachment for your dentures to snap in and out of place. After your jaw has healed and the titanium posts have successfully integrated with your oral structures, we will be able to anchor a custom-designed denture to your implants. 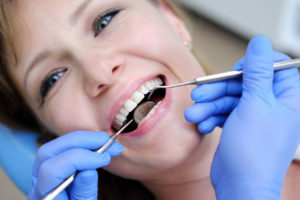 The exact length of the treatment process will vary from patient to patient, but the end result can ultimately provide a beautiful and fully functional smile that lasts decades. How Long Do Implant Supported Dentures Last? Implant supported dentures are often considered the best treatment to replace a missing row of teeth with long-term results. With proper care, implant dentures can provide over 15 to 20 years of use. For some patients, they may last a lifetime. The best way to prolong the lifespan of your implant supported dentures is to maintain good oral hygiene with daily brushing, flossing, and regular professional cleanings by a dentist. Limiting consumption of sticky or chewy foods can also prevent damage to the denture, further extending its longevity. We cannot determine an accurate cost estimate until your needs are evaluated, but a member of our team would be happy to provide a personalized quote after your consultation. Many patients utilize our dental financing options, which include flexible payment plans from CareCredit® and ALPHAEON™ Credit, to make the price of implant dentures more manageable. This allows qualified patients to pay for treatment in smaller and more affordable installments, rather than a lump sum upfront. For more information, please don’t hesitate to contact Dental Professionals of Fair Lawn today. To learn more about implant supported dentures, or to schedule a consultation with one of our cosmetic dentists, please contact our office today.